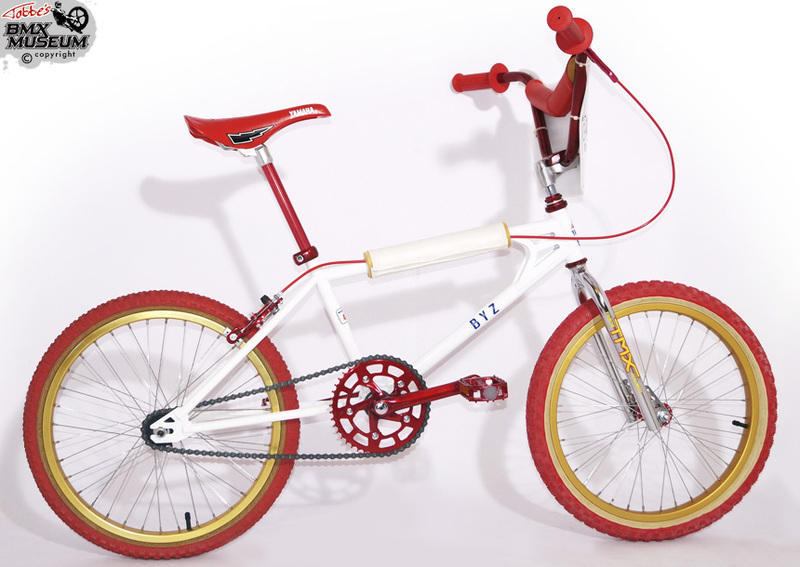 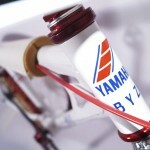 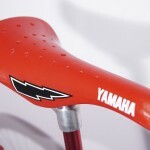 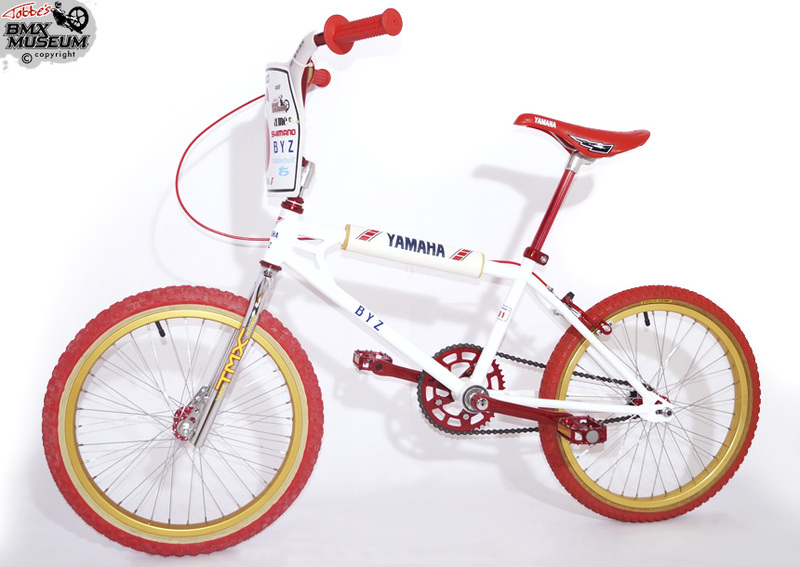 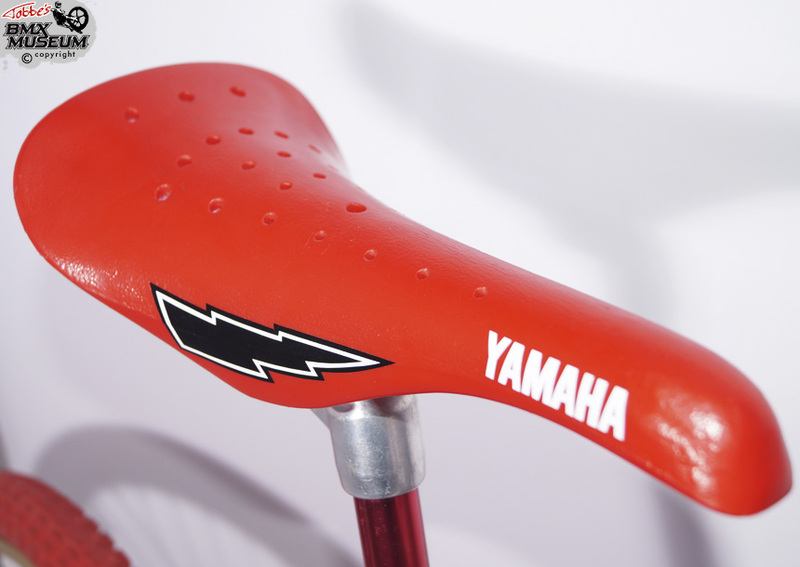 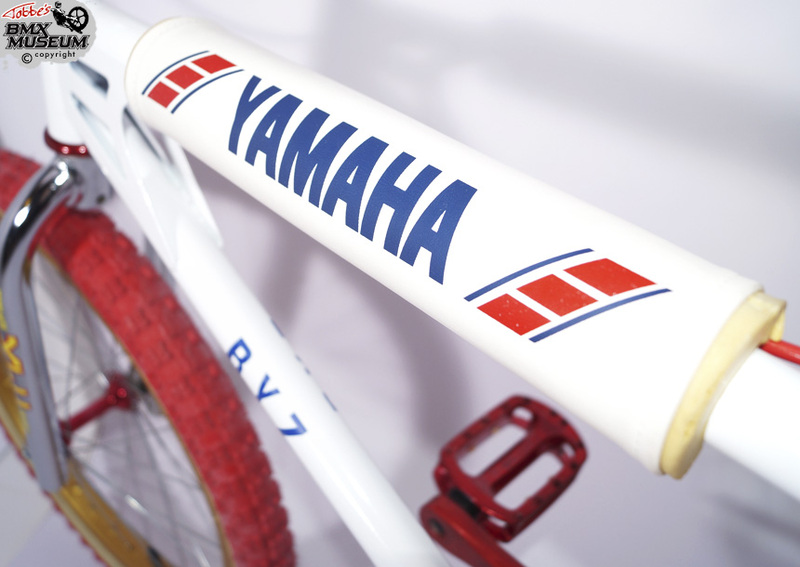 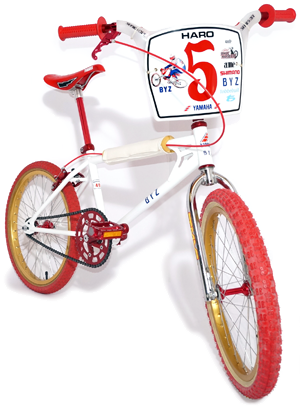 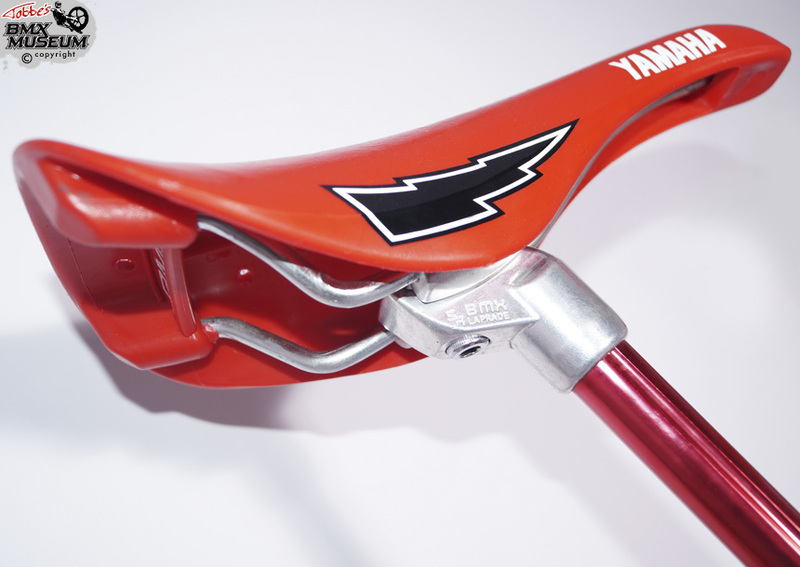 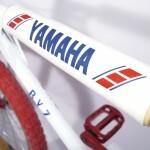 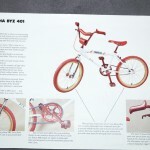 Yamaha BYZ BMX bikes was made by Motobecane in France in the early 80´s. 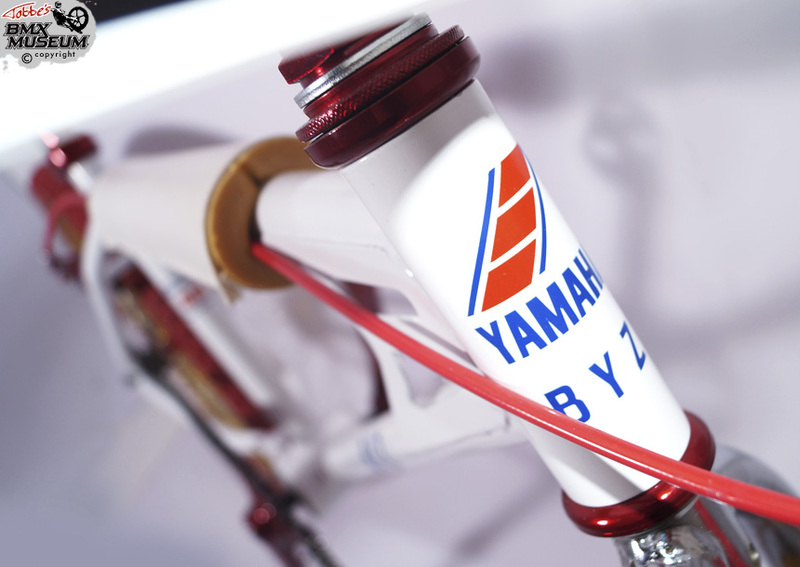 This is the second best model, called ¨BYZ 401¨. 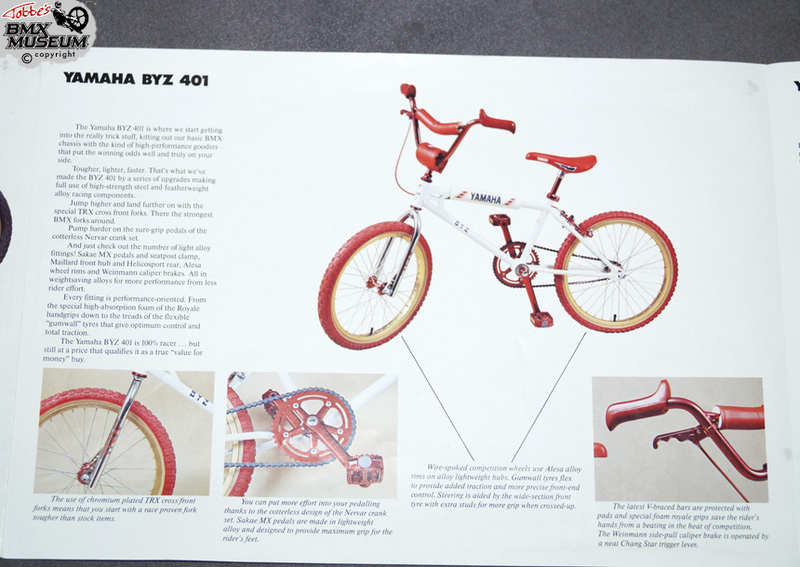 It’s not 100% correct built up compared to the bike from -82´, but it’s very close to the original specifications. 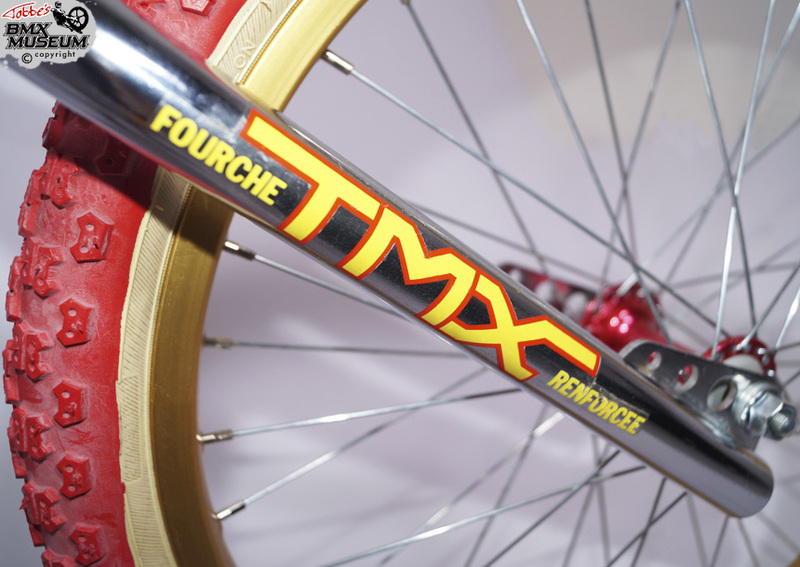 I found the frame in France. 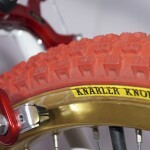 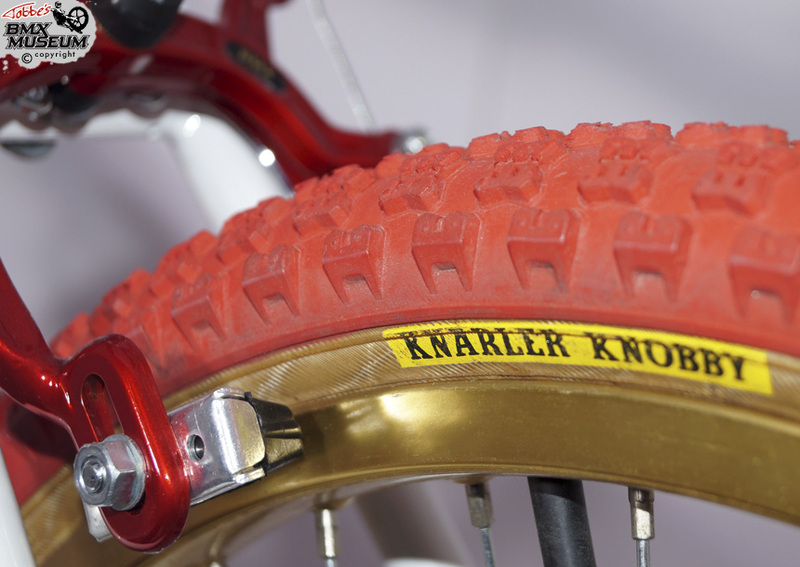 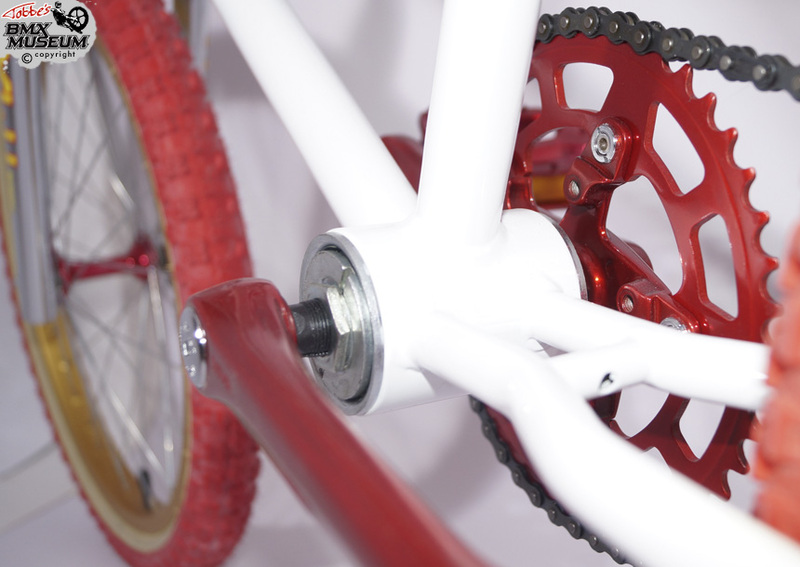 The paint was in bad condition so it was stripped and then powder coated by Barspin-Danne. 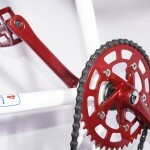 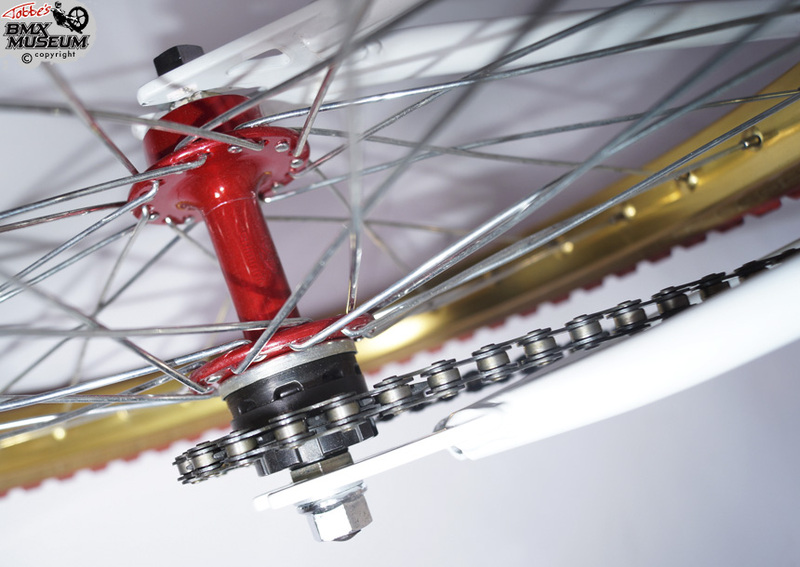 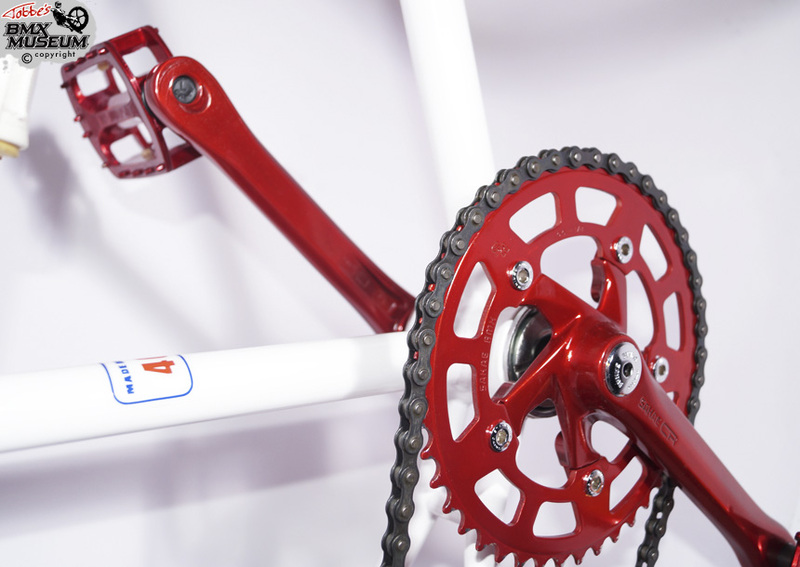 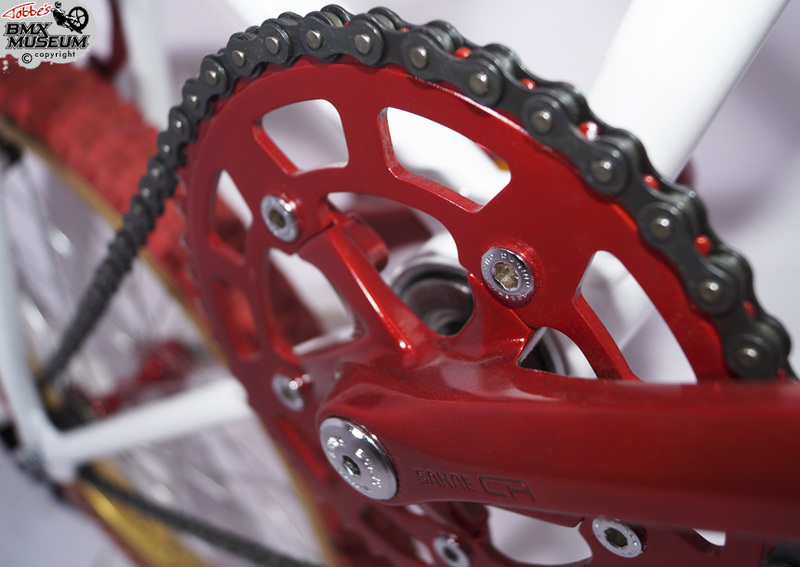 I took the Sakae SR crankset from my old Marin mountainbike from the 80´s and it’s been refurbished, polished and painted in translucent red. 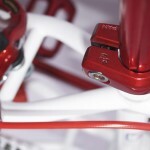 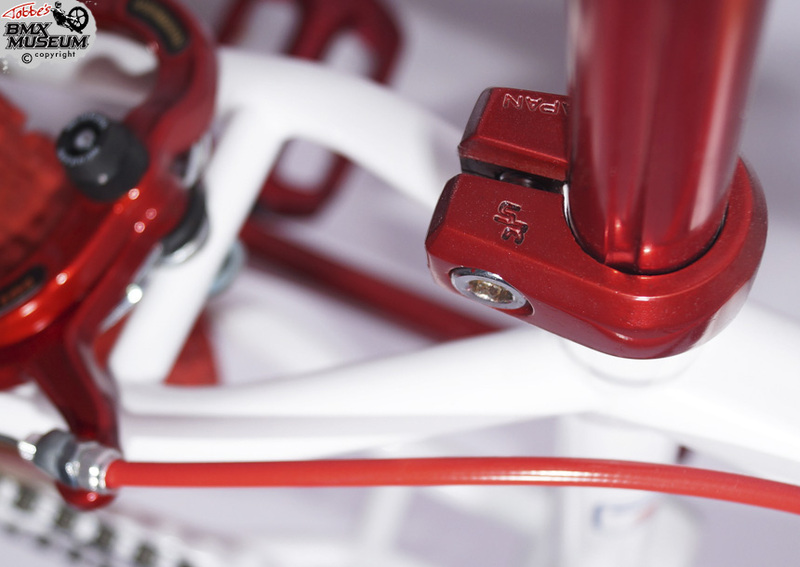 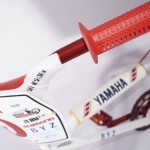 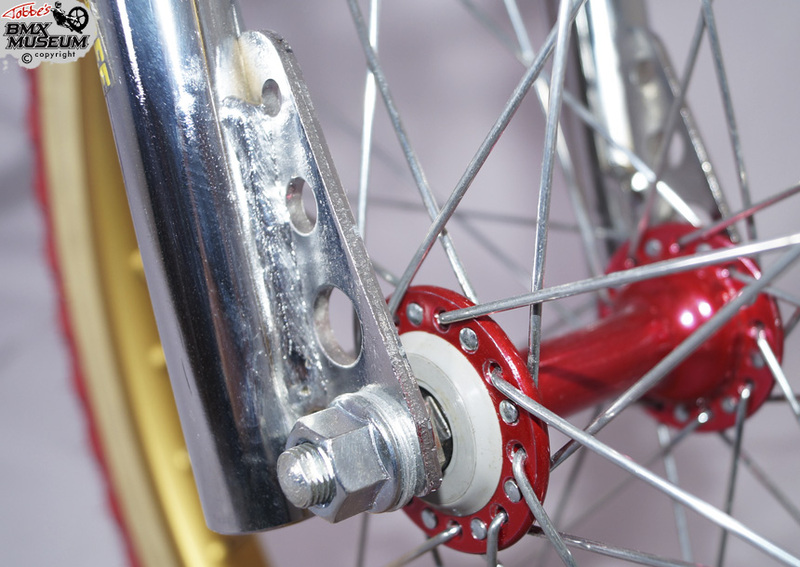 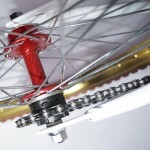 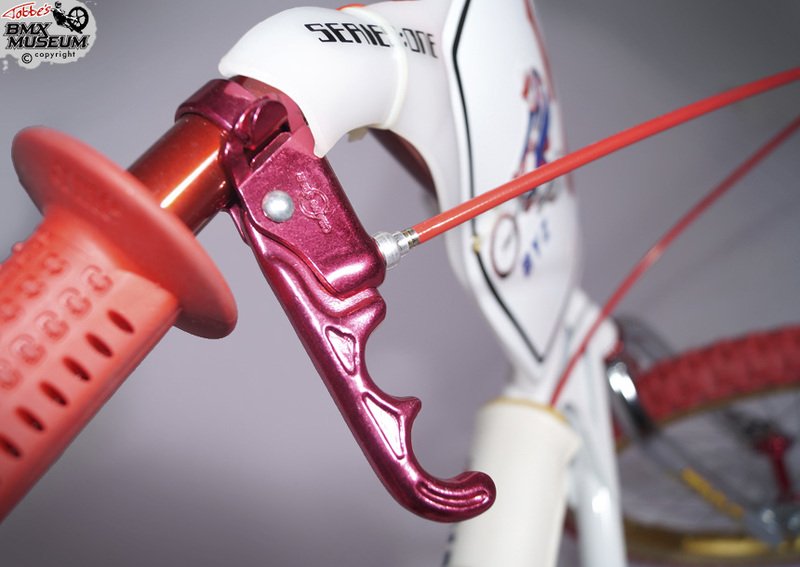 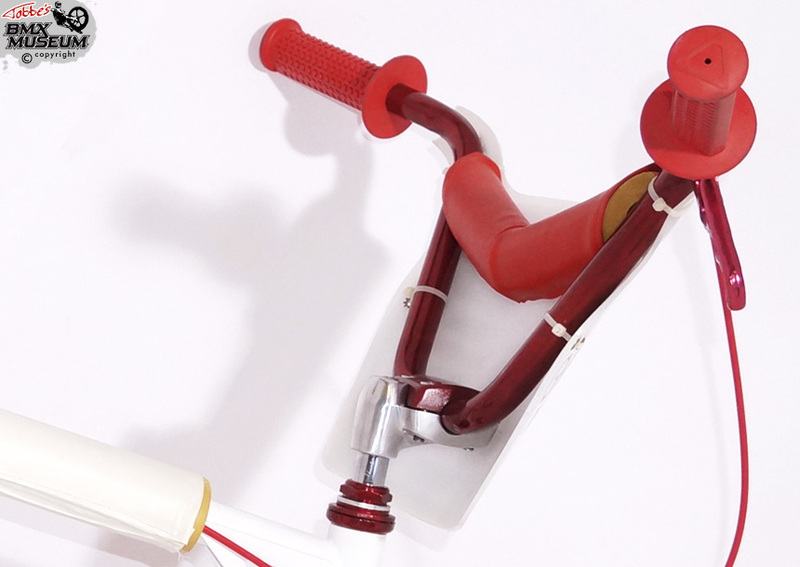 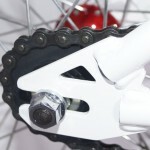 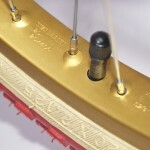 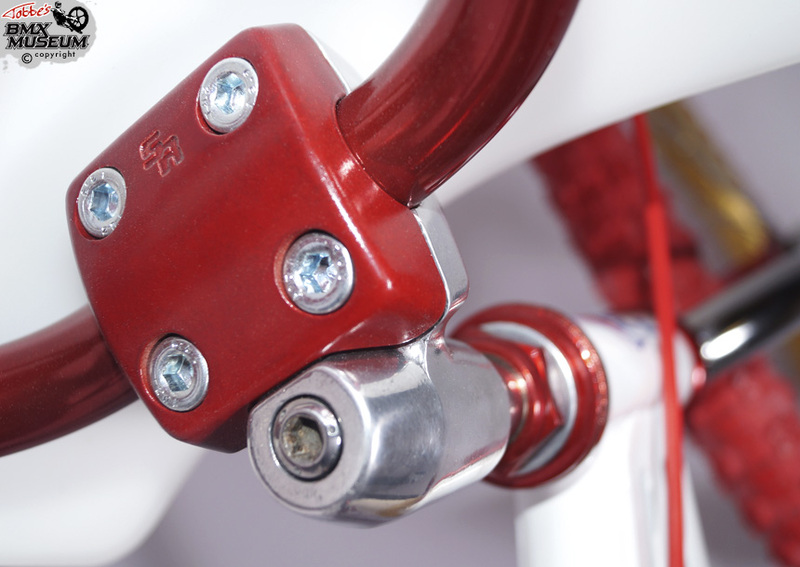 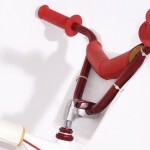 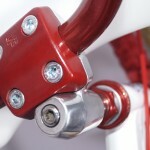 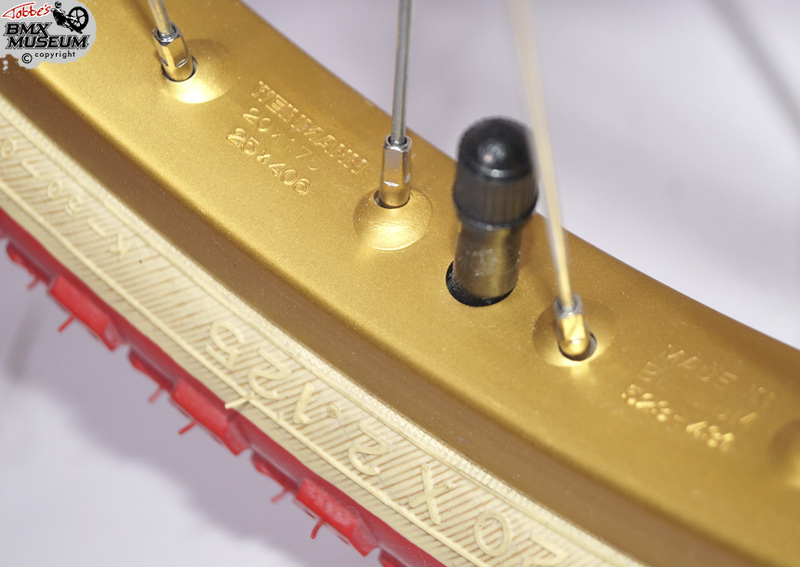 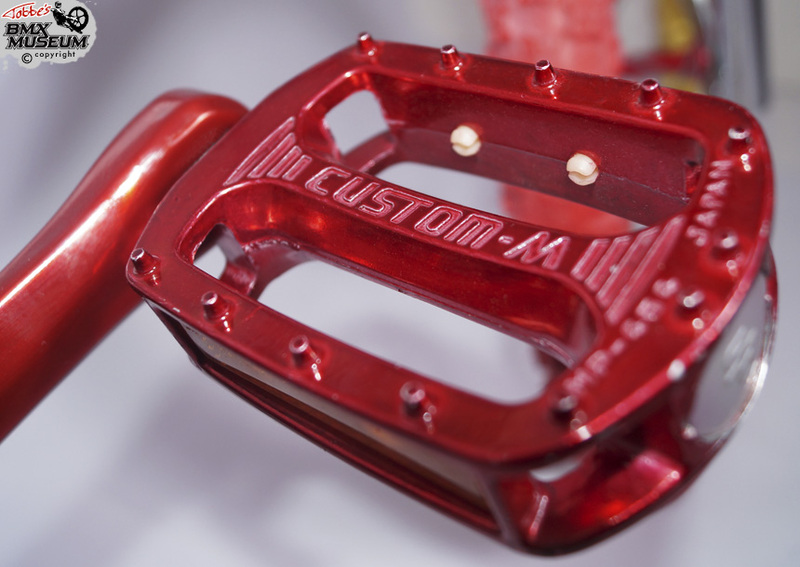 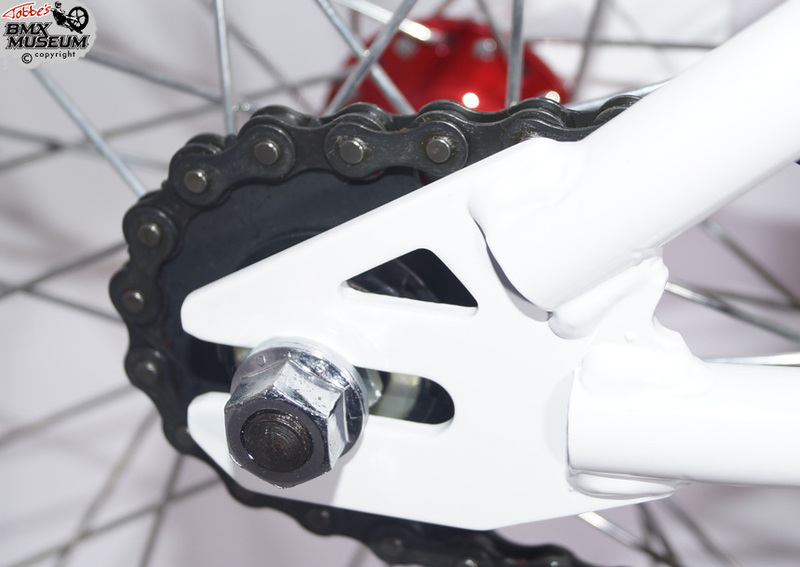 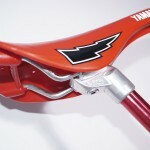 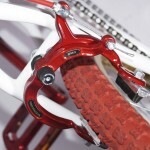 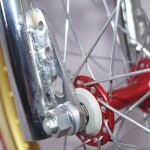 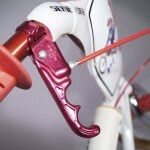 The A’me Cam grips are genuine 80´s and not one of the new reproductions. 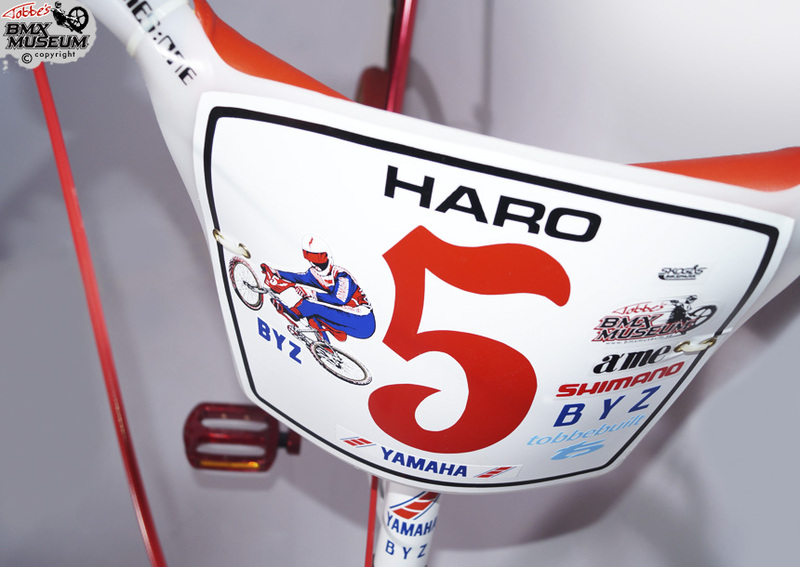 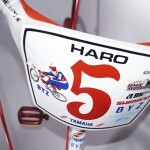 The number plate is a copy of Haro Series One plate. 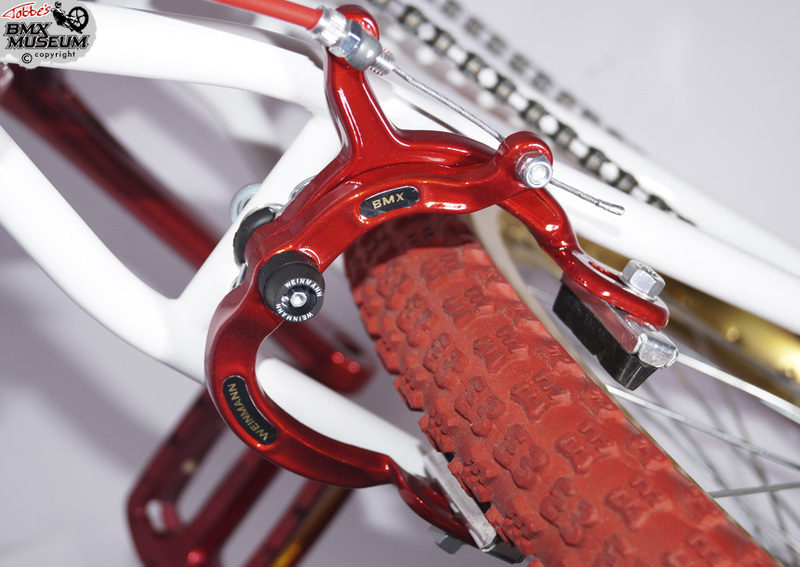 I couldn’t find the SR pedals in 9/16¨ size, so I changed the 1/2¨ spindles to a pair of 9/16¨ from a new set of Shadow Conspiracy Ravager pedals. 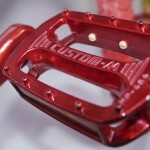 The Weinmann MX rear brake have been refurbished and painted, but I was able to keep the original decals. 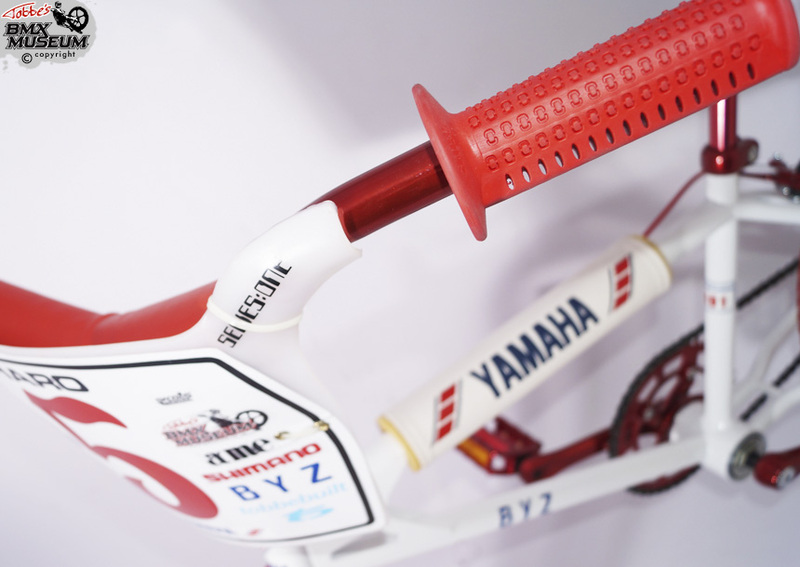 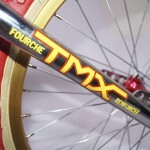 The decals for the frame and seat are made by me. 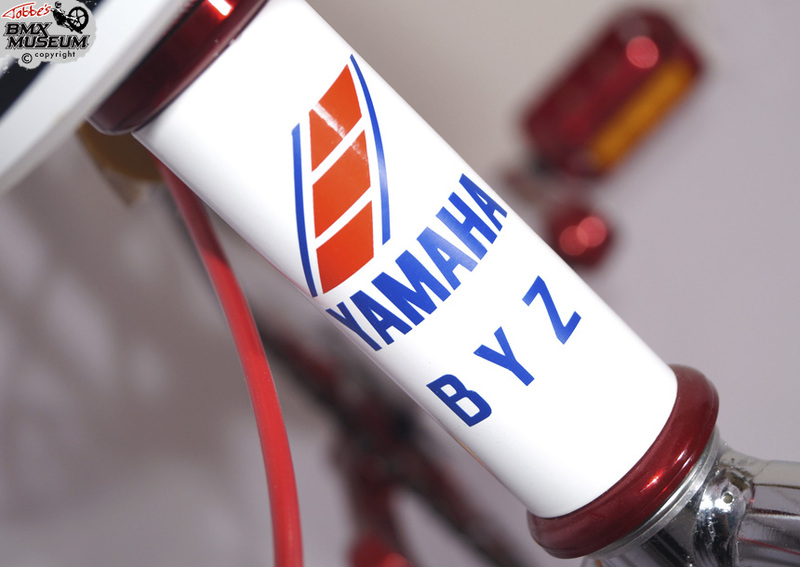 Some of the NOS (new old stock) genuine Yamaha parts; TMX fork, Yamaha handlebar, Yamaha padset, Weinmann rims, San Marco seat and SR Laprade seat post comes from Barry in Malmö/Sweden who bought the remains from the Yamaha dealer in Sweden from early 80´s for a couple of years ago. 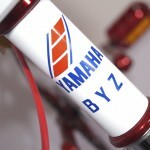 The parts are very hard to find, so I’m very grateful to Barry for selling the parts to me! 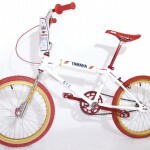 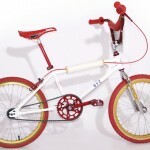 That’s amazing, I’ve just brought one of these, we’ll 2 actually but I’ve just sold one and plan to fix the other up!